Clambering up into the jaws of what is claimed to be the world’s largest lobster, and grinning stupidly for the obligatory photo, was certainly one of the more bizarre moments of my visit to New Brunswick. This was, however, a week packed full of both lobsters, and surprises. 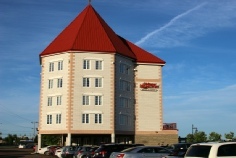 We we staying in the city of Moncton, which was to prove an excellent base for exploring the region. For a relatively small city on the eastern fringe of Canada, it has a remarkably eclectic blend of cultures, ranging from the indigenous Arcadian influence, through German, Korean, and Italian inhabitants, to the British and French descendents. This mix is carried over into the food and drink too, as we discovered during an enlightening foodie’s walking tour. This is a great way to not only get a real feel for Moncton, but also to sample a range of different culinary outlets and their very tasty produce! 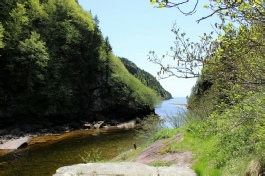 The city is also perfectly placed within easy reach of both the Atlantic coast to the east, and the Bay of Fundy to the south – both of which have a huge amount to offer. For two coastlines that are geographically quite close, they are very different in just about every other way. It’s a short drive past pine forests, rivers and lakes, to the pretty town of Shediac. At first sight it seems a sleepy small town, with a quaint main street lined with colourful timber buildings. Yet behind the relaxing facade this is a busy working town – known as the Lobster Capital of the World. The town’s most famous inhabitant will leave you in no doubt about this title, or one of its own. 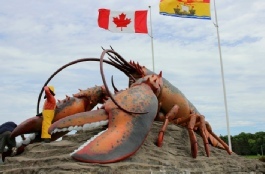 The eleven metre long sculpture claims to be the world’s largest lobster, and weighs in at some 55 tonnes. 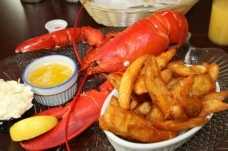 The town has lobster processing plants, live-lobster tanks, and even a huge lobster festival that has a 1000ft long table, and all-you-can-eat lobster on offer. Perhaps it’s no surprise that there is also an Eco-Centre on the harbour, where you can learn about the life of a lobster in all of its ages and stages. 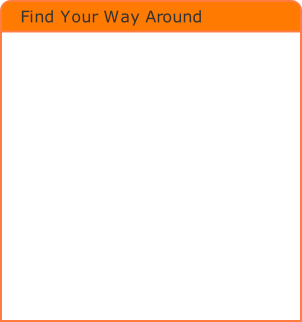 The enthusiastic team will impart all manner of facts in a surprisingly entertaining and interesting way. You can also dip your hands in the touch tank, and even try holding a live lobster. 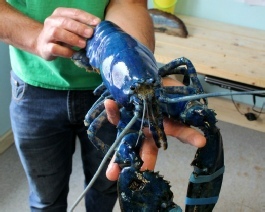 If you’re lucky, you may even get to nestle one of the rare blue lobsters in your hands, and learn what it is that makes them this colour. 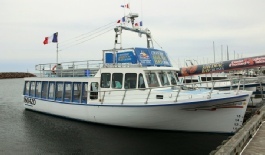 Of course, the two places you actually expect to see lobsters are in the sea, and on your plate, and Shediac Bay Cruises have great way to combine both. Hop on board for a delightfully informative and jovial two and a half hour cruise out around the bay, during which you will see how the lobster traps are used, how the lobsters are sized, captured, and even cooked on board. The learning doesn’t stop there, as they will also share the secrets on how a lobster should be opened and eaten... before letting you try for yourself as a delicious, freshly cooked lobster completes the experience. Certainly one of the most mouth-watering boat trips I’ve been on! Lobsters may be king in this part of the world, but there is plenty more to offer. Parlee Beach is well known throughout Canada, and attracts close to a million visitors a year to its glorious swathes of sand, lapped by the warmest waters anywhere in Canada. There are a wealth of facilities and activities through the summer season, as well as a range of excellent restaurants and accommodation. 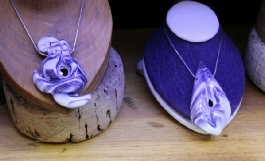 Before you leave the eastern coast it’s perhaps time for some souvenir shopping, and I’m a great believer in supporting local craftspeople – and especially those keeping local traditions alive. Let me introduce you to Marcia Poirier, who along with her husband Dave runs Wild About Wampum. Wampum is the Native American word for ‘trade’, and centuries ago in this region that meant the small tubular beads that the Wampanoag Indians fashioned from the purple sections of the Quahog Clam. When the British arrived on these shores, a string of beads would sell to the settlers for 5 British Shillings – no insignificant amount in those days! Up until the late 1700’s, Wampum could still be used to pay tuition fees at Harvard University. Marcia’s journey into shell jewellery began after moving from New York, when she spotted a heart shaped design in a shell, and carved it out as a pendant. Over four years the couple developed better methods, and searched for better tools, and eventually progressed to producing the unbelievably beautiful and refined items that grace their shelves today. Only later did Marcia learn that what they were making was actually Wampum – continuing an art form that dates back hundreds of years. The workshops today are packed to the roof with the rock-hard shells, all waiting their turn to be hand-crafted into intricate sculptures. 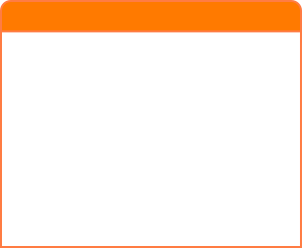 Having tried it myself, I can vouch for just how hard it is. But grinding through to the glorious purple layer (caused by absorbing iron from the waters and soil the live in), does give you an enormous sense of achievement. Actually producing a piece of jewellery might take me a few more years! 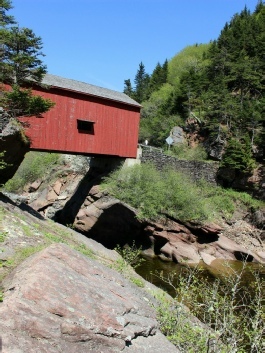 The southern coast of New Brunswick is also a relatively short drive from Moncton, passing leafy suburbs and rolling pine-covered hills. Yet this coastline couldn’t be more different than the east. Dramatic cliffs, rocky outcrops, and wide river estuaries are all washed by the World’s highest tides. 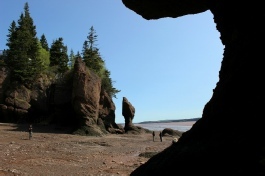 Nowhere is this more spectacularly in evidence than the towering Hopewell Rocks. Towering, that is, when the tide is out! We were collected from our hotel by an irrepressible bundle of fun, knowledge and enthusiasm called Anna-Marie Weir. She is an authority not just on the famous rocks, but on the whole Bay of Fundy coast, and seems to know almost everyone we encountered along the way. Anna-Marie’s ‘Roads to Sea’ guided tours are without a doubt a great way to experience this wonderful coastline. The tour is worked around the tides, so that you get the chance to walk on the sea bed at low tide, and then come back later in the day to witness the difference when 180 billion tonnes of seawater returns – as it does twice a day. With a useful commentary pointing out places of interest, explain some of the natural environment, and throwing in a sprinkling of entertaining anecdotes, this is one trip that was never dull. After a couple of brief photo stops, we soon arrived at the Hopewell Rocks site. Sneaking in the back gate (because as I said, Anna-Marie knows everyone, and has purloined a spare key), we followed the winding path to the cliff top viewing platform. It’s an astonishing sight, as we found ourselves looking down onto columns of dark red-brown rock, topped with perfect mini-landscapes – complete with trees and shrubs. The tide was out, revealing equally red-brown sand. The metal stairway leading down to the beach has warnings, and a large clock above it showing the time you need to be off the beach to stay safe. The tide will rush in here later in the day, and by the time we return 6 hours later it will be the equivalent of four stories higher. As you set foot on the still-damp sand, the view is no less awe-inspiring. It has a kind of rugged beauty that just captivates the eye. At the same time I had a strange sense of compassion for these mighty rocks, as I imagined them having to resist the tremendous force of those huge tides over and over again for thousands of years. By the time we climbed the steps back to the top, my neck was aching from craning it skywards to take in as much of this bizarre scenario as possible. To fill the six hours until we returned, our guide had plenty more treats in store. Next stop was the pretty fishing village of Alma, where once again lobsters are the prime attraction. At the Alma Lobster Shop there is an opportunity to hold some huge examples of the creature, from a tank in the gift shop. It was also a chance for Anna-Marie to give us a lesson on how to completely strip a lobster using nothing but our bare hands, and various parts of the lobster itself, and eat every last morsel of meat possible. It’s one of those wildly impressive tricks that once learnt, you yearn to have an opportunity to show it off to your friends back home! The road rises out of Alma heading into dense forests of the Fundy National Park, with occasional glimpses of the seas glinting between the trees. The road meanders gently, as we are regaled with tales of bears and other creatures of the woods. We take a break at one of the many red covered bridges that dot this landscape, which were designed with a roof to stop the wooden roadway from rotting away in the damp climate. They also served another purpose, since the dark shadowy areas within would often play host to the amorous adventures of the local teenagers! It was this that gave them the name ‘Kissing Bridges’. 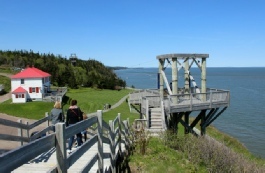 Moving swiftly on, and after a delicious lobster meal back in Alma, where we could put our new found skills to the test, we headed up to the panoramic viewpoint of Cape Enrage. New Brunswick’s oldest operational lighthouse resides on top of these cliffs, still warning sailors of the perilous rocks below. Alongside it is a very 21st Century zip-wire for anyone brave enough to have a go. The magnificent views in all directions – including straight down - are simply breathtaking, and the clear sea air simply encourages you to linger and marvel over your surroundings for as long as possible. 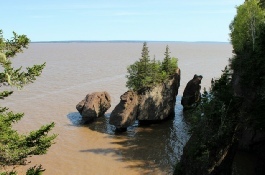 But the tide was coming in, so it was time to head back to the Hopewell Rocks once more. This time there was to be no walking on the beach. Even though it was still a while until the highest tide, the whole scene took on a totally different feel. The sea here was brown from the sediment below, and seemed far more powerful, to the point of being almost menacing. It commanded absolute respect, whilst at the same time setting the heads of the rocks off in the most picturesque manner. The small visitor centre has photographs of this same scene in the moonlight... and if for no other reason than to see that with my own eyes, I definitely need to come back here sometime! 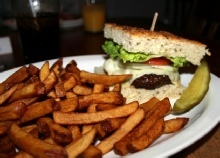 This is a stylish, modern establishment overlooking the river, close the heart of Moncton. It’s within easy walking distance of the town centre shops and restaurants, and the new shopping mall is just across the road. 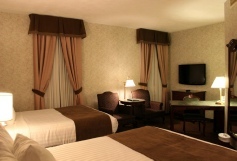 The rooms are spacious and comfortable, and the restaurant and bar have views out onto the tidal river. The breakfast choice was reasonable, but easily pleased everyone who discovered the self-service pancake making machine! The multi-award winning editor of Pro Traveller Magazine, Trevor Claringbold is a writer, journalist, broadcaster, and TV producer. His passion for travel has seen him travel extensively, and he has over 30 years experience in the media, including 15 years as a presenter and producer with the BBC.